Home > Wing Chun > Wing Chun training for Hong Kong Airlines cabin crew. 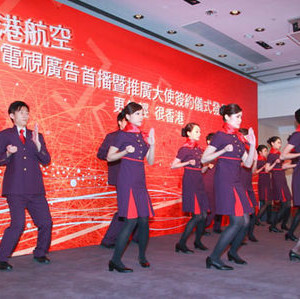 The Wing Chun trained cabin crew of Hong Kong Airlines will be able to ensure a safer flying environment for all passengers. This is the first self-defence training programme to be implemented after passengers were turning their dismay over delays and disruptions into violence. 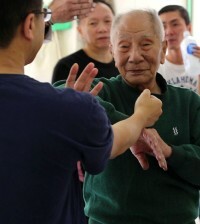 Wing Chun is very popular in Hong Kong and Ip Chun who is continuing the legacy of his father Ip Man, Bruce Lee’s teacher, is still teaching today at 89 years of age. There will be no doubt that the cabin crew of Hong Kong Airlines is not only learning an excellent self-defence technique but are also spreading the word about the effectiveness of Wing Chun training. 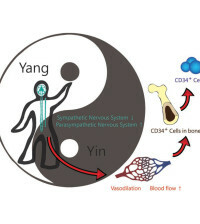 Wing Chun is perfect for close-combat situations and as a sport will enhance one’s confidence and bring peace and harmony into the individual’s way of thinking. After a period of practice the individual will build enough confidence to calm a situation before it escalates as the bottom line in Wing Chun practice is knowing that the best fight is no fight.